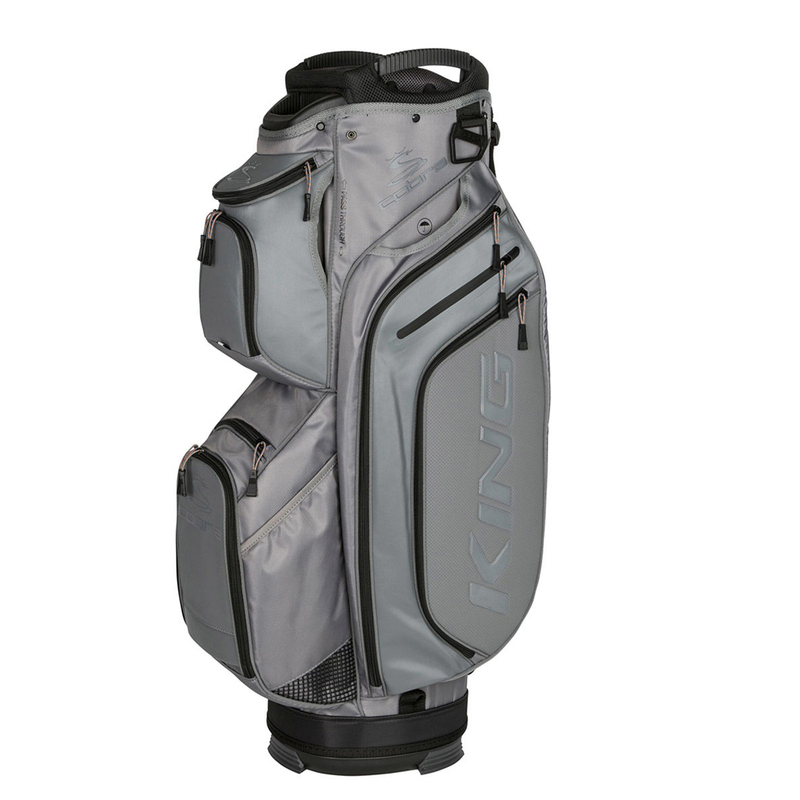 This superb golf bag is ideal for all your requirements on the golf course, with numerous storage pockets which includes dual oversized apparel pockets, insulated beverage pocket, and a fleece lined valuables and rangefinder pocket to ensure your expensive items are safe. 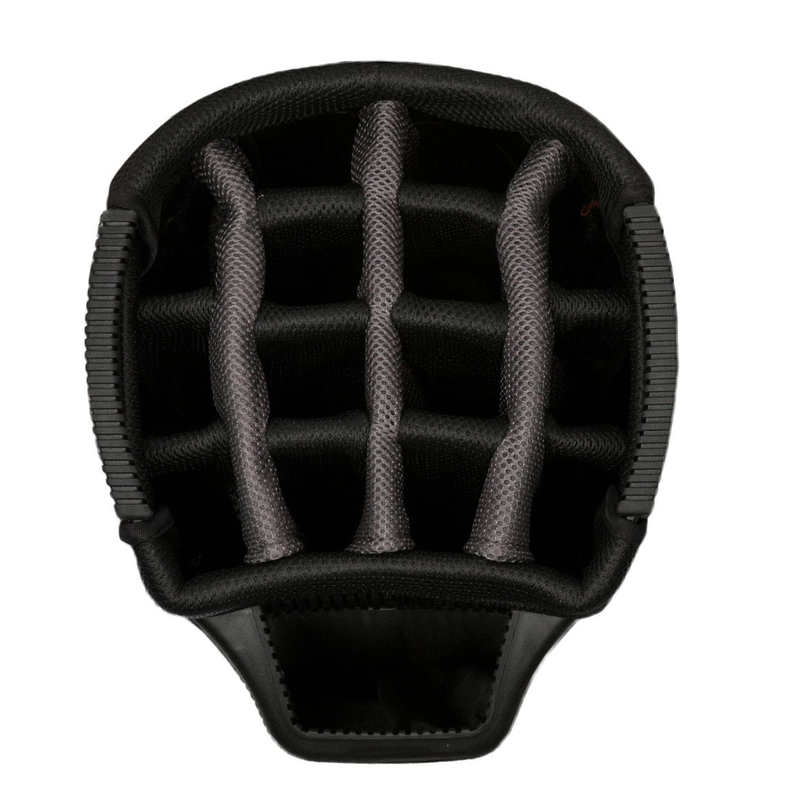 To organise your clubs a 15-way organiser with full length dividers ensures a snag free club selection, and provides increased visibility for you to select the club of your choice with ease. 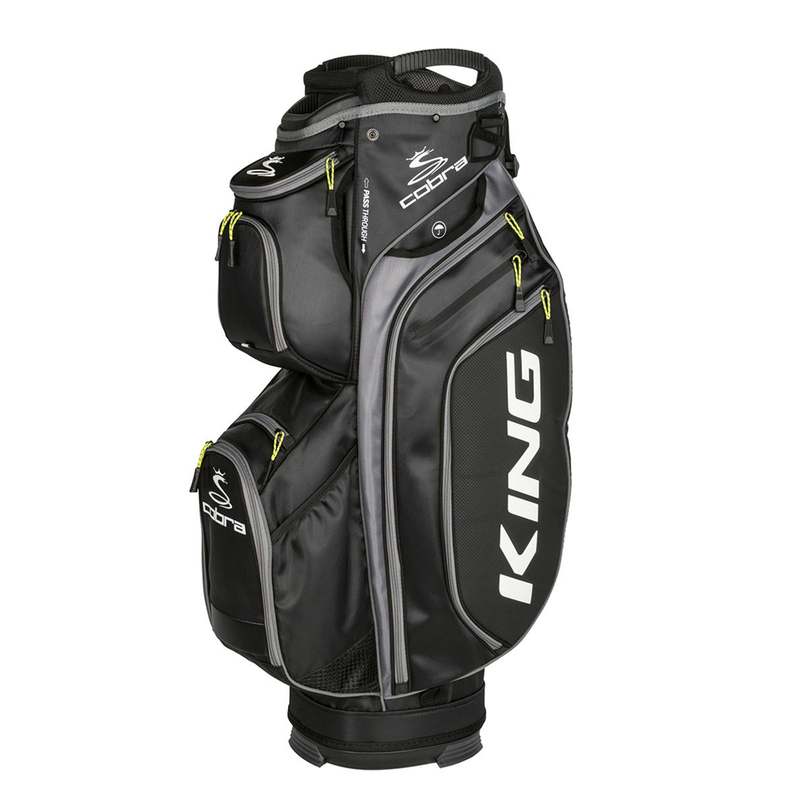 The bag has a trolley compatible base and has a cart strap pass through channel to secure your bag to your mode of transportation. The bag only weighs 6bs and comes complete with matching rain hood and single padded shoulder strap.